Avocado pear | Infonet Biovision Home. English (Avocado pear); Kamba (Ikoloviu); Kikuyu (Mukorobea, Maguna ngui (fruit)); Luhya (Makotulofia); Luo (Avokado). It is native to; Antigua and Barbuda, Barbados, Cuba, Dominica, Dominican Republic, Grenada, Guatemala, Honduras, Jamaica, Puerto Rico, St Lucia, St Vincent and the Grenadines, Trinidad and Tobago, US and Virgin Islands (US). 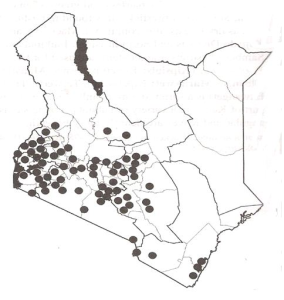 In Kenya is found mainly in the Western, Central and a little bit at the Coast. Varieties are classified into A and B types according to the time of day when the female and male flower parts become reproductively functional. New evidence indicates avocado flowers may be both self- and cross-pollinated. There are many cultivated varieties adapted to a wide range of conditions (highland, lowland). Altitude is between 0 and 2 500 m, mean annual temperature varies between -4 and 40 deg. C, and mean annual rainfall is in the range of 300 and 2 500 mm. It requires a well-drained aerated soil because the roots are intolerant of anaerobic conditions; waterlogging for more than 24 hours can kill trees. A pH of 5 - 5.8 is optimal for growth and fruit yield. It may be propagated by use of seedlings by sowing the seed directly at the desired site or grafted materials for improved varieties. It is advisable to propagate on the farm rather than relying on the nurseries which might be sources of diseases. In the management, grafting is advisable in order to get best fruit varieties. Food; its fruits are edible and may be used in making of juice, salad and desserts. Apiculture; a good source of bee forage. Oil; used in the manufacture of cosmetics and soaps. Its oil may be used in lighting too. Shade; it produces good shade. 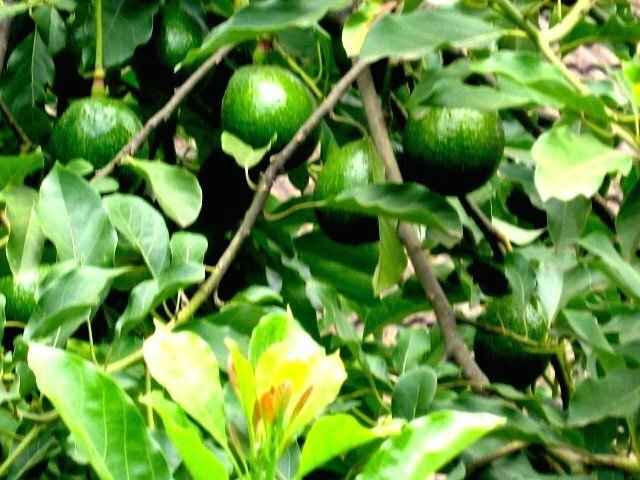 Many insect pests attack avocados but they rarely limit fruit production significantly. At the moment, the most important insect pests are avocado looper (Epimecis detexta), pyriform scale (Protopulvinaria pyriformis), dictyospermum scale (Chrysomphalus dictyospermi), avocado red mites (Oligonychus yothersi), borers (Ambrosia beetles, Xylosandrus spp. ), avocado lace bugs (Acysta perseae), and red-banded thrips (Selenothrips rubrocinctus). Successful control of foliar and fruit diseases caused by fungi requires that all susceptible parts of the plant be thoroughly coated with the fungicide before infection occurs. Sprays must be re-applied as new tissues become exposed by growth and as spray residues are reduced by weathering. 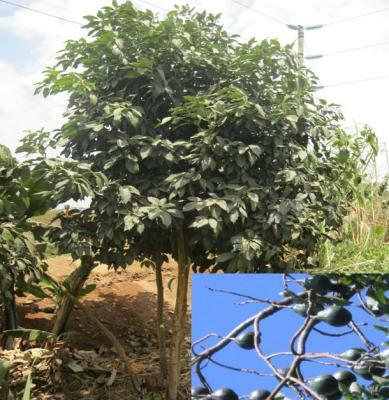 Trees in areas with poorly drained soils and/or which are subject to flooding are susceptible to avocado root rot - most serious disease in most avocado-producing areas of the world. (RSCU), Swedish International Development Authority (SIDA). Cobley L.S & Steele W.M. 1976. An Introduction to the Botany of Tropical Crops. Longman Group Limited.